There are some important considerations to keep in mind for selling your home at retirement age. For retiring seniors, your home is one of your most valuable assets. With this, there are some important considerations to keep in mind for selling your home at retirement age. Whether you decide to downsize or move in with relatives, careful planning is a crucial step in maximizing your equity. 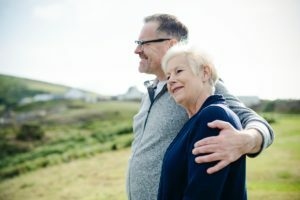 Finding specialized real estate assistance is an essential part of working through the process of selling your home in your retirement. With the right real estate agent, you will be able to receive the help you need through a real estate agent specializing in the needs of seniors and retirees. As you navigate the process of selling your home, it is important to be well-represented by a real estate agent or legal professional who can help to alert you of potential scams and complications with financial transactions. In this, your real estate agent can guide you through the process of making the best decisions for you in the selling process. A critical consideration for selling your home is to be aware of the pitfalls and incentives associated with selling a home as a senior. Your specialized real estate agent will also be able to navigate you through these considerations of factors such as your pension, IRA accounts, Medicare, Medicaid, and Social Security, as these factors may also be affected by selling your home. If you have spent many years in your current home, it may be initially difficult to determine its current value. This lack of knowledge surrounding current prices may even lead you to unknowingly accept much less for your home than it is worth. In keeping this in mind, it is essential to review a comparative market analysis provided by your real estate agent, to understand the current price for your home. This CMA should include the most updated information about homes similar to yours in your neighborhood that were sold. If you are a senior looking to sell your current home, trust the team Jack Cooper Law with your selling process for affordable, professional, and accurate legal and real estate assistance. Let our excellent team of experienced real estate attorneys provide you with expert counsel and information regarding financing options. In working with Jack Cooper Law, you will have access to our excellent recommended industry contacts, from trusted and reliable lenders to home inspectors, contractors, and service providers throughout your selling process. No matter where you are located in Maryland, our team is ready to work with you!